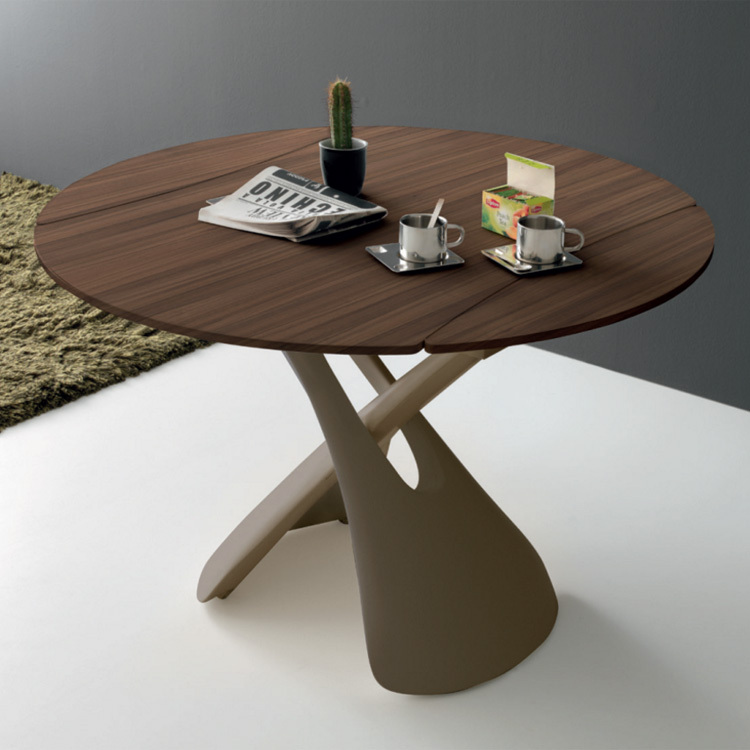 Transformable table that can be raised form coffee table height to dining table height using a hidden pump mechanism. 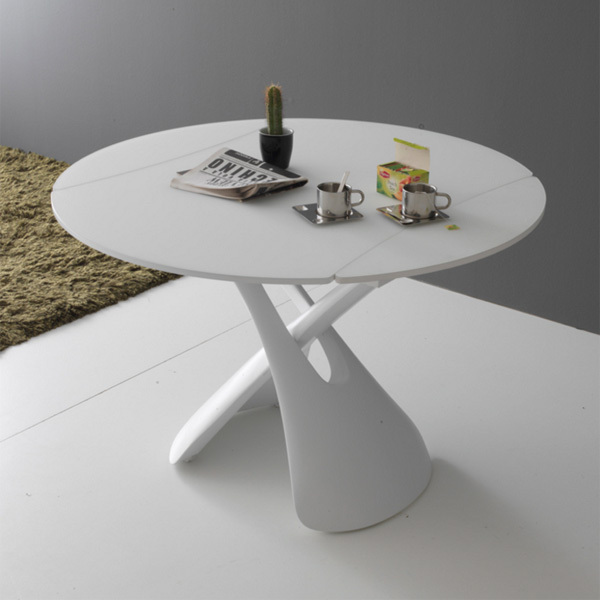 The top also extends from a curved rectangular coffee table top to a round dining table top. 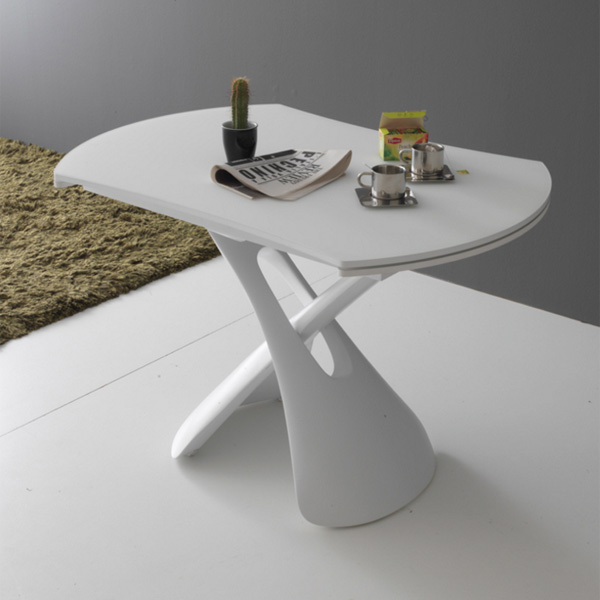 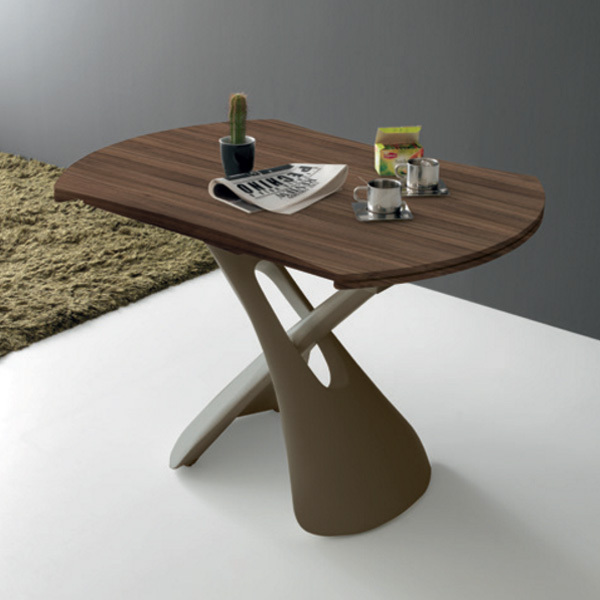 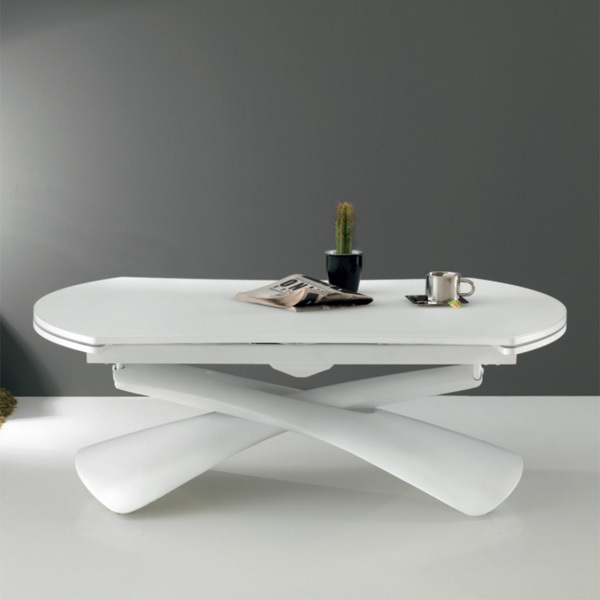 The top is available in various finishes, the base is lacquered polypropylene.